The “Stealth Edition” Leica M Monochrom has the same features as the regular model. These include 24MP full-frame B&W CMOS sensor, lack of color array or low pass filter and the same processor. You can shoot Full HD 1080p video at 24/25 fps, and ISO ranges from 320 to 25000. The body is made of magnesium alloy, and the grip is replaced with smoother leather. To be fair, there’s something else included in the $15,750 price. Leica M Monochrom costs $7,550, body only. The latest limited edition model costs twice as much, but it includes a $3,200 Leica Summicron-M 35mm f/2 ASPH lens. Of course, it’s also entirely black, with glow-in-the-dark markings. It sums up to $10,750 for the camera body and the lens, plus another $5,000 for… being limited edition. There will be only 125 “Stealth Edition” Leica M Monochrome cameras available. 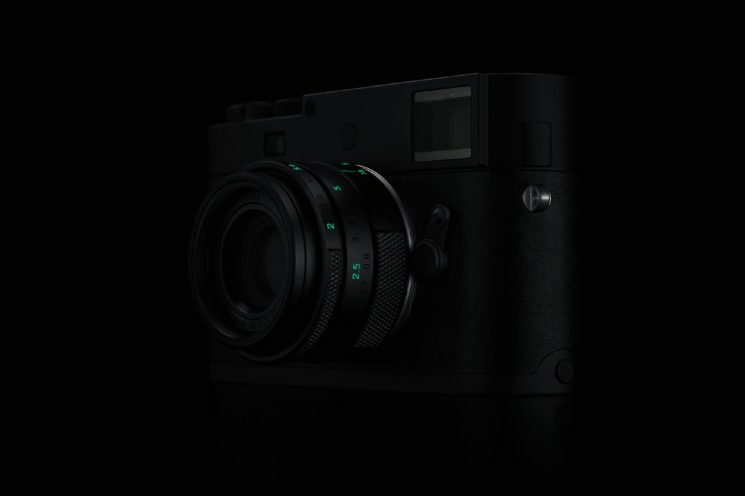 So, if you are a passionate collector of Leica’s limited edition cameras, or have $15,750 to spare, “Stealth Edition” Leica M Monochrom will become available on 20 March 2018.
how is something that glows in the dark stealth? The sad part is (and it is rather sad), there are people who run to buy it without a second thought. For some, the “red dot” is a symbol of prestige. A few might not even know how to change a lens. Some stuffy clubs will not even look at your direction if you do not own two or three “red dots”, let alone admit you. Does Leica pick their prices out of hat (or a randomiser like Darren suggests)? Could very well be. For many of their clients, the more expensive it is, the more lucrative it is. It is not the satisfaction knowing they can afford it, it’s the fact that most cannot, that delights them.